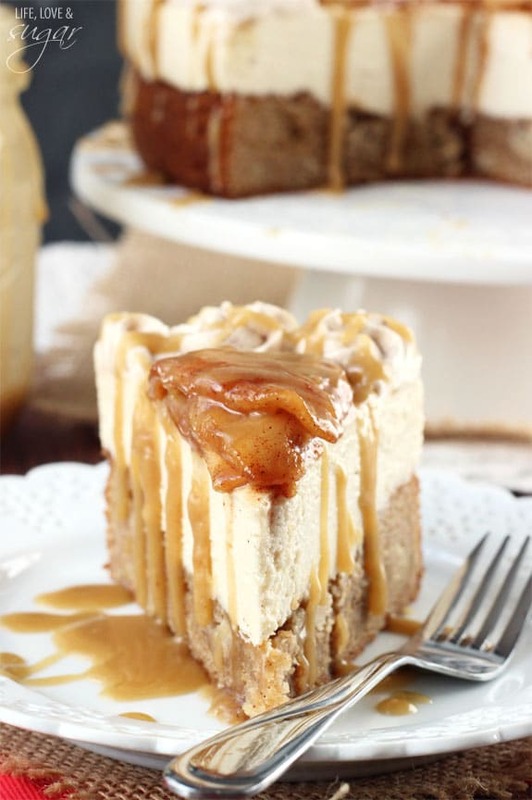 This Caramel Apple Blondie Cheesecake is pure caramel apple heaven, I kid you not. 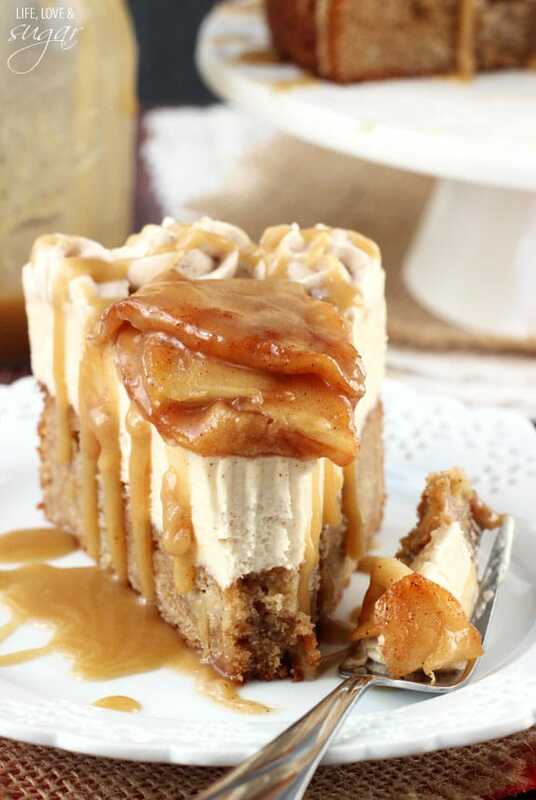 It’s an apple spice blondie filled with apples, topped with a no bake caramel cheesecake, topped with cinnamon apples and even more caramel sauce. 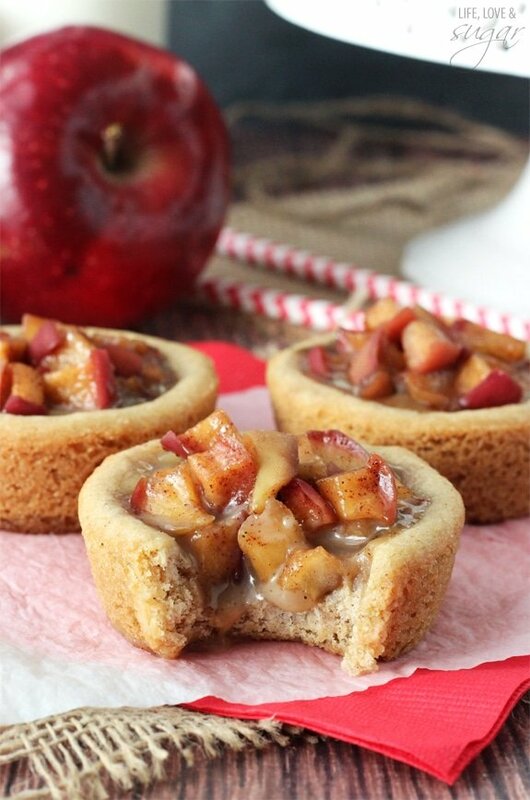 It’s one of my new favorite desserts ever and the perfect way to start off Apple Week! This week my bloggy BFF, Julianne, and I will be bringing you all the apple recipes you’ll need for fall! Get ready, because we’ve got some awesome recipes planned. And before I go any further, I want to thank everyone who read, commented, emailed, etc in response to my post on Friday. Thank you so much for the support. I’m trying to respond to everyone, but haven’t been able to get to everyone yet, so know that I appreciate it SO much! And since I’ve already done all the baking for this week, I get to just eat all the apples. Apples have been my snack of choice recently and I got a variety of apple types, so it’ll be fun to try them all. My bag actually broke trying to fit in just one more apple type we found on the way out. Oops! I can’t even enough to explain to you just how good this cheesecake is. I want to eat it every day. The blondie alone is the jam. It’s got plenty of tasty spices and apples baked right in. It’s chewy, not too heavy and absolutely delicious. 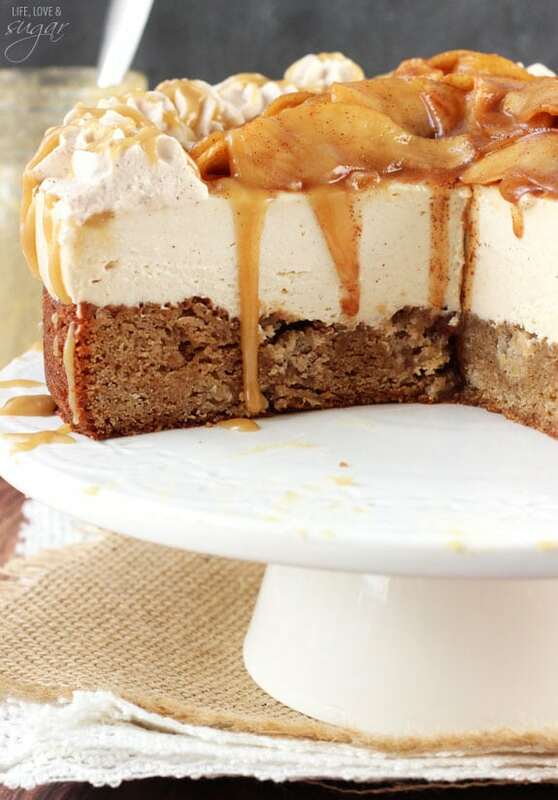 The only thing that could make it better is topping it with no bake caramel cheesecake. Even I was surprised at just how good this caramel cheesecake is. So smooth and creamy. 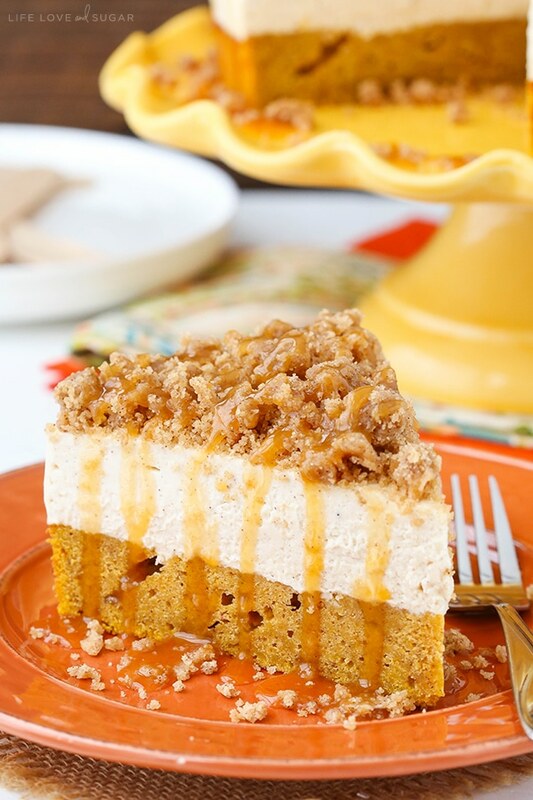 And sometimes caramel as a flavor can be hard to get to really come through in something like a cheesecake, but this caramel flavor comes through perfectly! I used the caramel sauce that I posted a couple weeks ago and it was amazing. The chewiness of the blondie with the smoothness of this cheesecake is a killer combo. I topped with cinnamon apples and even more caramel, because why wouldn’t you? It’s irresistible. I took it over to my brother’s house the other night when we were having dinner over there. Initially everyone but the hubs turned it down. In fairness, they hadn’t seen it yet. Then I brought a slice down to the basement for the hubs and my brother immediately changed his mind. By the time he came upstairs, my sister in law (still in the kitchen) had gone from wanting just one bite to try it, to eating an entire piece and telling everyone they had to try it. “Restaurant quality,” she said. There was lots of moaning going on – the sign of a job well done. 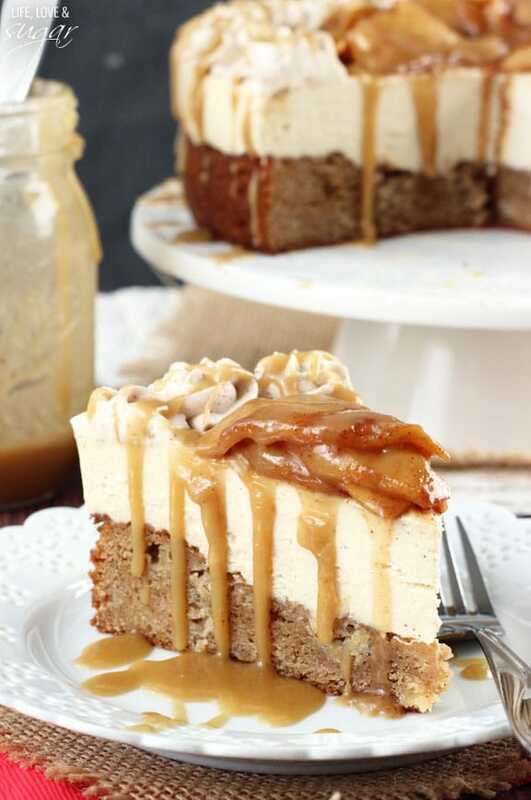 So yea, you definitely don’t want to miss out on this Caramel Apple Blondie Cheesecake. It’ll rock your socks off. 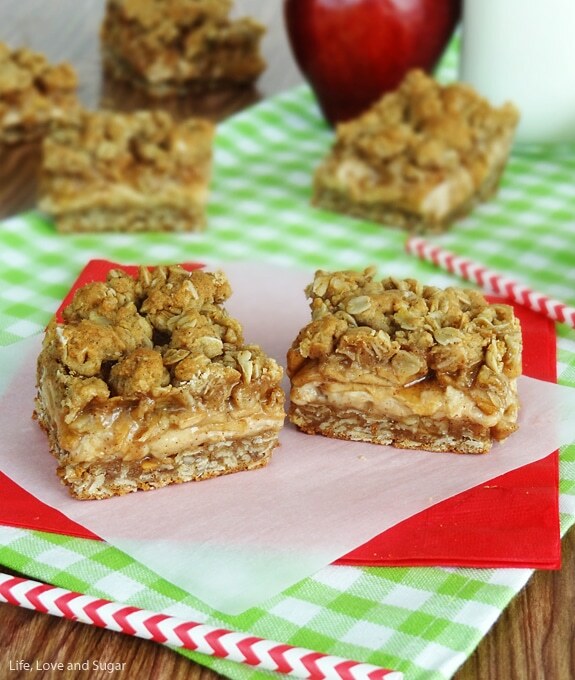 And get pumped, because there’s more apple-y goodness coming up this week! 1. Line the bottom of a 9 inch springform pan with parchment paper and grease the sides. Preheat oven to 350 degrees. 2. Melt the butter in a microwave safe bowl, then transfer to a mixing bowl. 3. Add brown sugar and whisk to combine. 5. In another bowl, combine dry ingredients. 6. Slowly add dry ingredients to wet ingredients until combined. 7. Fold in finely chopped apples. 8. Pour batter into springform pan and bake for 30-33 minutes. 9. Allow to cool for about 5 minutes, then remove to finish cooling. 10. Make the caramel sauce and allow to cool completely. 11. Once the blondie and caramel are cool, make the cheesecake. Beat cream cheese and sugars until smooth. 12. Add about 3/4 cup of caramel sauce and apple pie spice and mix until combined. 13. Fold in Cool Whip. 14. Place blondie back into the springform pan. 15. Spread cheesecake evenly on top of blondie, then put in refrigerator until firm about 3-4 hours. 16. Combine apples, lemon juice, nutmeg, cinnamon and brown sugar in a medium saucepan and toss to coat. 17. Add butter and cook apples on medium-high for about 15-20 minutes, or until at preferred softness. 18. Allow apples to cool for 10-15 minutes, then put on top of cheesecake. 19. To make cinnamon whipped cream, freeze a metal bowl and whisk attachment for 10-15 minutes. 20. Remove bowl from freezer, add heavy whipping cream, and whip on high speed until it begins to thicken. 21. Add powdered sugar and cinnamon and whip until it you get stiff peaks. 22. Pipe whipped cream around edges of cheesecake. 23. Drizzle more caramel sauce over finished cheesecake, if desired. *Recipe for caramel sauce makes about 1 1/2 cups worth of caramel. I made a whole recipe and used about half of it in the cheesecake and then drizzled more over the top of the cheesecake. You’ll end up with leftover caramel. Oh, my. Just when I think you’ve gone as far as you can go, you amaze me even more! How could people turn this down initially, even sight unseen? Don’t they KNOW you?! Can i use real whip cream instead of cool whip? Yes, it should be fine to replace it. You’ll want to thicken the whipped cream a bit though. I’d suggest 1/2 cup of heavy whipping cream and 1/4 cup of powdered sugar. This looks incredibly delicious! What a perfect Thanksgiving dessert!! Excited for Apple Week! Wow. That is astonishing! Such creativity here. Wow. Pretty sure there are no words to describe this gorgeousness! Wow!! This has Thanksgiving dessert written all over it! I used to name you the ice cream cake queen and now you are the cheesecake queen!! Haha, I know, I’ve been into cheesecakes recently. 🙂 I do have an ice cream cake coming up though! 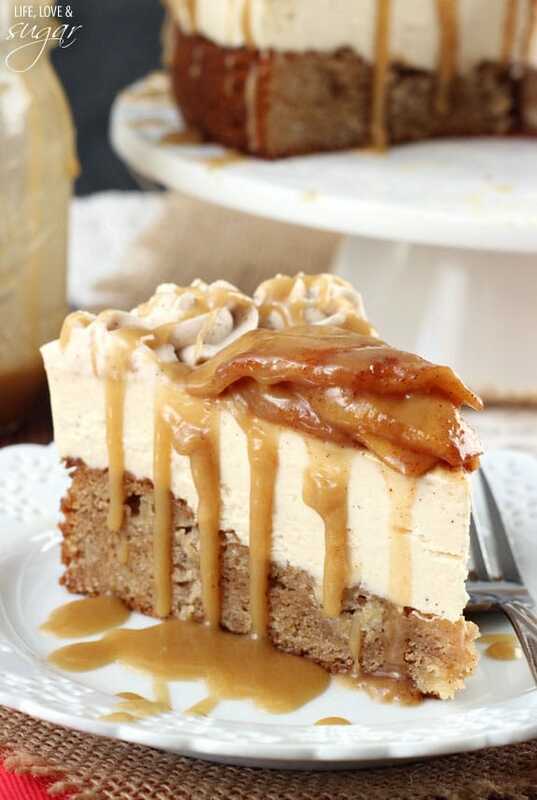 As i scrolled past the pictures of the caramel apple blondie cheesecake my mouth just watered. Love love this recipe. Delicious!!! The drippy caramel sauce is almost too much for me to take… almost ;). You are the queen of all things cake – hands down. This looks simply incredible! Oh my gosh. 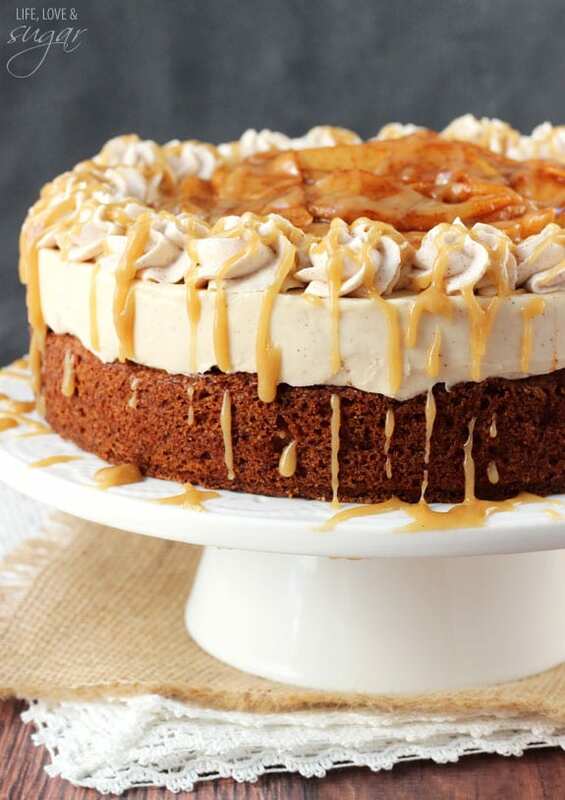 That dripping caramel is killing me! This cheesecake look incredible! This looks ridiculously delicious!! So many of my favorite things all wrapped up in this cheesecake. Love it! Um, wow. This is one amazing cake! All of my favorite things about fall wrapped in one! Oh my gosh you are a genius!! LOVE this so much. Stop it. Just when I think your desserts can’t get any more amazing and decadent, this happens! I am seriously green with envy over the perfect slice and caramel drizzle. How do you do it?!?! Teach me your ways! I’ve been drooling over this since you first showed me the photo!! Also, we went out to dinner with a friend tonight and I was talking about apple week and how we were doing apple week and Dell said, yea it’s like they were separated at birth haha! I am trying to bake this but I don’t see an oven temp. What is it???? Its 350 degrees. Sorry about that! I don’t suppose you can share the oven temp for baking batter? It’s 350 degrees. Sorry about that! Don’t forget that if you’re using a dark springform pan to cook it at 325. Same amount of time, just lower temperature. This caramel sauce is soo easy and comes out perfect and delicious! I made this for my bridge club and they couldn’t believe it wasn’t store bought! Thanks for the fabulous recipe which will become a family favorite. Hi, hope you are good. You have so many incredible and creative ideas. Why cant you join food network show, you have what it takes and good recipes to teach your fans out there. What are you waiting for? Please go and become a STAR you are designed to be. I just found your fabulous blog and I LOVE it. My cake is in the fridge right now. 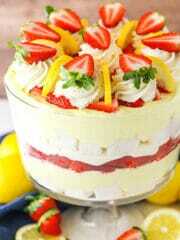 I want to eat it tomorrow. Would you recommend putting the apples on top now an letting them cool overnight on the cake or should I rather put them on top tomorrow? Thank you so much for all the inspiration! Next thing on my list is the Snickers Cheesecake. hi! this looks amazing! i really want to make it. i have a silly question! 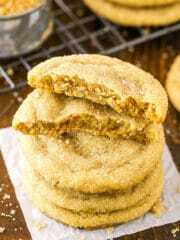 this recipe calls for ground cinnamon and cinnamon – does that mean cinnamon sticks? i couldnt find anything in the spice aisle that just said cinnamon:) thank you so much, have a nice day. It shouldn’t be messy at all. The cheesecake gets plenty firm in the refrigerator so it holds its shape completely. Holy cow does this look good! Now excuse me while I clean the drool of my desk! Hey Lindsay! I am drooling over this delicious blondie cheesecake! I would just like to know if I can substitute the cool whip for anything else. Granted I am living in Brazil and there is no cool whip over here. Thank you for your time and your delicious recipes! You can replace it with homemade whipped cream. This cheese cake was amazing!! A flavor explosion in your mouth. I will defiantly be making this again! I’m so glad you liked it! Thanks Deb! I have made this twice and it is delicious, but the cheesecake does not get solid at all. Please advise on the amount of cool whip. Is it half of a 8 oz container of cool whip or a half cup of cool whip to make the 4 oz”s? I think this may be my problem. It should be 4 oz, which is half of an 8 oz container of Cool Whip. This cheesecake left the table speechless at Thanksgiving dinner last night. There are just no words to describe how crazy delicious it is, and super impressive in presentation to boot! I did change it up a little bit, since I have celiac and can’t eat what is no doubt a scrumptious blondie bottom. I found a chickpea based gluten-free blondie recipe to sub in that also had peanut butter in it. The flavour combination was out of this world, between the caramel, apples and peanut butter! Also, for the caramel, I had salted caramel left over from a salted caramel apple pie I’d made a week prior, so I used that instead, making it a *Salted caramel apple blondie cheesecake. It was just divine, so rich and decadent. 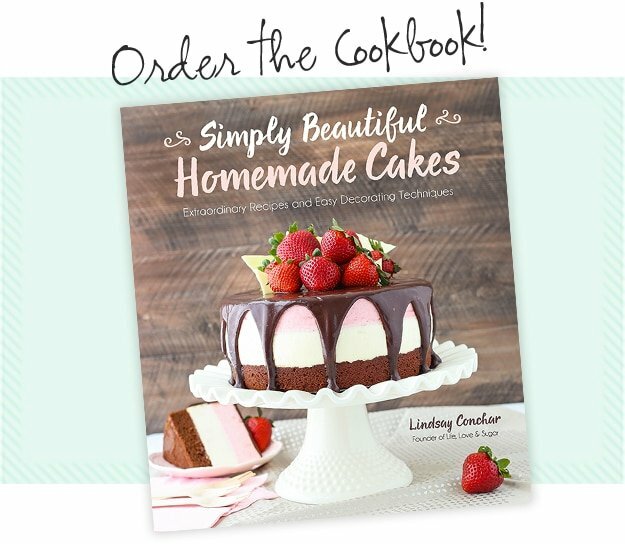 Your recipes have me in awe, I can’t wait to bake my way through them! 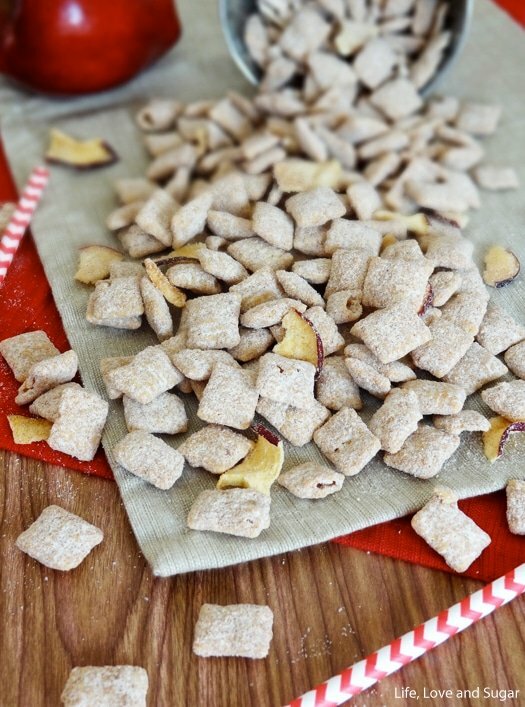 It looks amazing….but what is apple pie spice? I have never seen in it the grocery store (in Canada). I believe it’s cinnamon, nutmeg and cardamom. You could just add some cinnamon and/or nutmeg instead. This looks amazing! I can’t wait to try it out this weekend! Can I ask what type of apples you used? Thank you! I used Red Delicious apples. This looks sooooo yummy. I am going to make this Friday for my second moms 86th birthday party! Thank you! Thanks Laurie! Enjoy it and happy birthday to your mom! Omg this cake looks amazing!! I can’t wait to try it out. Apples, blondies and cheesecake. Thanks for creating this wonderful recipe! Hi do you think you could put the ingredients in metric please , also which flour do you use , im in the uk so this would be helpful . Does it have to stay in the frig until ready to serve? I was going to make it for my husband’s hunting trip 6 hours away will it hold up ok in the car? Hmmm, that’s a good bit of time to not be refrigerated. It will definitely soften a good bit. I’m not sure how well it’d hold up. Hi! Just curious, does anyone have an opinion on the Blondie portion of this recipe? I have made the Taste of Home version of this cheesecake but I definitely didn’t thing the Blondie recipe was up to par for that recipe. I haven’t tried it, so I can’t say. Just curious to know if the brown sugar ingredients in this recipe need to be firmly packed or……???? Thanks want to make sure I have the precise inuredients!! It should be loosely packed. Enjoy it! Sounds good! Making for thanksgiving. How far in advance do you think I could make and keep in the fridge? A day or two would probably be best. Enjoy it! Hi, could I substitute whipped cream for the Cool Whip? I’m not a big fan of the latter. Yes, you can. I would suggest about 1/2 cup of whipping cream and 1/4 cup of powdered sugar for the whipped cream. Hi there! All of your recipes look so delicious I’m finally getting the chance to make one! I’m bringing this cheesecake to Thanksgiving and I was just wondering if the brown sugar I should use is light or dark?? Thanks! You could use either. I use light brown sugar usually. Could this be made a few days ahead of time? I want to prepare some things early for Thanksgiving. Thank you for your suggestions. 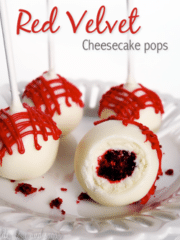 Probably best to layer them with a cheesecake, unless you want all the sauce on the cheesecake. Made this today as a warm up/practice cake for the one I’m making for thanksgiving dinner…it is DELICIOUS! Each layer truly is great by itself but when you add them all together…WOW. Thanks for sharing! I made this for Thanksgiving and it turned out wonderful. It makes a beautiful presentation and the taste is amazing. Everyone loved it (dish was clean) and I will definately make it again. I’m already thinking about preparing it again for christmas…or maybe one of your other yummy treats! Thank you! Hi..recipe looks lovely. I would definitely like to try it. Before i begin with it one question, does the blondie base becomes soggy after pouring the cheesecake batter over it? As it will take few hours before it sets. Awaiting your response. It doesn’t get soggy. The cheesecake batter is pretty thick, so it’ll help the blondie stay moist, but it won’t get soggy. I don’t usually leave comments but this was one of the most delicious pies/cheesecakes that I have ever tasted so I had to! I just wanted to say thank you so much for sharing this recipe!! I’m usually not the biggest fan of apple pie etc. but I had canned some apples this fall and wanted to give them a try. I made this delicious dessert for Thanksgiving yesterday and it was so tasty, everybody loved it! I was happy to have one piece left so that I could have it tonight for dessert after a long day of Black Friday shopping 🙂 Will definitely be making this again. So good! 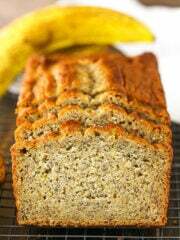 I posted a comment a while back inquiring about how this recipe compares to the Taste of Home recipe and I just wanted to let everyone know that this recipe is FAR BETTER!!!!! Especially in regard to the Blondie layer, but in its entirety as well. I made it for Thanksgiving and it was the first thing to go. I mean within 20 minutes of setting it on the table. To answer a post above, no, the blondie layer was not soggy at all. I am making this for my administrative assistant for his Christmas gift. It is well worth the time and extra steps. What is your advice for baking the cheesecake instead of letting it sit in the fridge? I personally prefer the texture of baked cheesecake. Are there any ingredients I should add (eggs? )/ time for baking? It might be hard to bake this cheesecake because of the blondie layer. I understand what you mean about texture – that’s big to me too. This cheesecake really is nice and thick though. If you give it a try, I think you’ll like it. You could bake a crust less cheesecake separate from the Blondie layer and once cool place it on top of the Blondie layer then proceed with the recipe. I’m from the Netherlands and I would love to make this desserts for christmas. However in the Netherland we don’t have cool whip. What can I use as an alternative? I think the cheesecake won’t set properly if I would just use whipped cream would it? Hope you can help me with this! Hi! Yes, you could use regular whipped cream instead. You’d probably want to use about 1/2 cup of heavy cream and add about 1/4 cup powdered sugar so that’s thick (like Cool Whip is). I’m from the Netherlands and I would love to make this dessert for Christmas, it just looks so amazing! However in the Netherland we don’t have cool whip. Do you know what I can use as an alternative? Will the cheesecake set if I would just use normal whipped cream ? Thanks for this amazing recipe! Hi! I’m making this for Christmas dessert tomorrow and was wondering how well the whipped cream holds up. Should I wait until right before serving to pipe it on or would it be fine to do today? It should be fine if you do it today. It holds up well with the powdered sugar. You call this dessert a cheese cake. I was just wondering why u decided not to bake it like a traditional cheese cake? Well it isn’t really a traditional cheesecake, but the top layer is a no bake cheesecake. It has no eggs, so it doesn’t need to be baked. At what point though do you remove the parchment paper? P.S. Just made the blondie and caramel sauce and i’m totally loving the smell of my kitchen! From the sides of the cheesecake after you’ve added it to the blondie? Once it’s firm and you remove it from the pan, you can remove the parchment paper. WOW this sounds amazing! Could you substitute the flour for gluten free flour to make the blondie gluten free or would the recipe need altering? Thanks! I have never tried it so I can’t say for sure. I’m sorry. 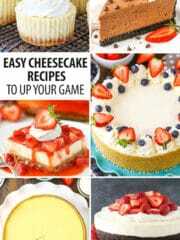 Hello, I love your website and I wanted to know if you could do a chocolate brownie new york cheesecake with strawberries to top it ( brownie on the bottom new york cheesecake on top and strawberries to top that) I know you have some like it but not exactly what Im looking for. Thanks Greenly! Great suggestion! I’ll add it to the queue. I made this delicious cake yesterday, to celebrate our 15th wedding anniversary and it was a succes! My husband totally loved it, so many, many thanks, dear Lindsay! Awesome Laura! I’m glad you and your husband enjoyed it! Happy anniversary! I’m so glad you enjoyed it! 🙂 Thanks for checking out the site – I hope you’ll get a chance to try some other things too. 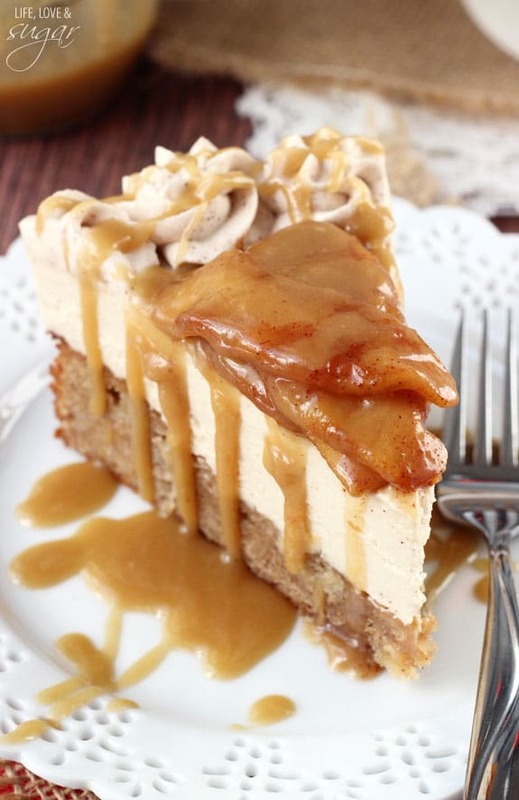 What kind of apples do you use for the apple blondie carmel cheese cake? You should be able to use any. I usually use red delicious. what apples do you use for this recipe? I usually use Red Delicious, but any variety would work. Hi, Lindsay! I LOVE your recipes! Your Funfetti Millionaire Cake was a hit at my best friend’s 2 year old’s birthday party! I want to make THIS for Thanksgiving this year. My dilemma is I will have to travel 4 hours to get to where I will be and once I get there, I don’t want to tie his mom’s kitchen up to bake because she will be cooking (mostly her oven). She does have refrigerator space for me. I have a cooler this will fit in for the trip. My question is, if I make it Tuesday night before the trip Wednesday AM, I am sure it will still be good for Thursday. To be safe, should I make it earlier and freeze it, then take it out Wednesday morning to pack to ship, or skip the freezer step? I have frozen cheesecakes before with good results. Should I do it ahead except for the apples and whipped cream put them on last minute? If I do that, could I make them ahead Tuesday night to transport too then put them on Thursday morning or wait til Thursday morning to make them at her house? We will be driving another hour from her house for Thanksgiving Day. Thank you so much! I’m so glad you enjoyed the Funfetti Millionaire Cake – that’s definitely one of my faves. I’ve never frozen this cheesecake, but you could try it. If you have a cooler or something to keep it in, that’d work too. You could always leave it in the pan and then de-pan it there so you don’t have to worry about it getting shaken up while driving. I think you have the right idea to make the apples and whipped cream ahead and heat the apples before adding. Be sure to keep the whipped cream cold. Hi! I plan to make this for Thanksgiving and have an hour drive. Should I put it all together and take in a cooler? Or should I put on the whipped cream, apples, and caramel drizzle right before serving? Also, are the apples supposed to be served warm? I just want to make sure I don’t melt the cheesecake and whipped cream with the warm apples….thanks for sharing your recipe! It looks soooo good!!! It should be fine in a cooler for an hour. But if you want to be sure it travels well, you could definitely add the toppings when you get there. I’d say serve the apples room temp, or a touch warm. Maybe keep those in another container that you can warm up just before adding them to the cheesecake. Yes, it can be made ahead of time. Two options. One would be to just prepare it fully and refrigerate until needed. It’s great that way too. If you’d rather the apples be a little fresh/warm though, you could cook them ahead of time and place them in separate container in the fridge. Then when you are ready to serve the cheesecake, heat them up just a bit so they are closer to room temperature or slightly warm and then put them on the cheesecake. You could make this 1-2 days ahead and it should be fine. I made this today and ran into a few problems. While everything tastes great, the execution didn’t work out well. The blondie bottom fell out. I baked it for 35 mins, let it cool, but it still wasn’t done properly. Also, my “cheesecake” firmed up, but was not as thick as yours look? Did you double your recipe? Other than those things, it was great, and my husband couldn’t stop picking at it. Made this for thanksgiving and though I have only sampled the parts I know it will be a hit!! 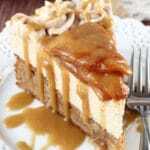 The caramel def does come through in the cheesecake perfectly! A great combo of flavors! This one’s a real winner, thanks! I’m so glad you’re happy with it! Happy Thanksgiving! Made this for a Christmas Eve gathering at my daughter’s house. It was gone in 15 minutes (while the other desserts were untouched)! I’ve never made a cheesecake before, but your recipes inspired me to try it – made the peanut butter truffle cake, as well – now I’m hooked!! Thank you for your very detailed recipes, which helped a complete amateur make two fabulous desserts! Terrific! I’m so glad you enjoyed them and found the recipes easy to follow! 🙂 Thanks Wendy! Hi, do you think I could make this in a 13×9 cake pan? I bet I could. I’m just wondering if I should double the recipe or not looking at how think yours is. Thanks! I’m thinking you’d want to double it. Thanks for the update, I was thinking it might be easier to make it in a pan. With doubling the blonde and not the cheesecake, we’re both layers about the same thickness? This was amazing! 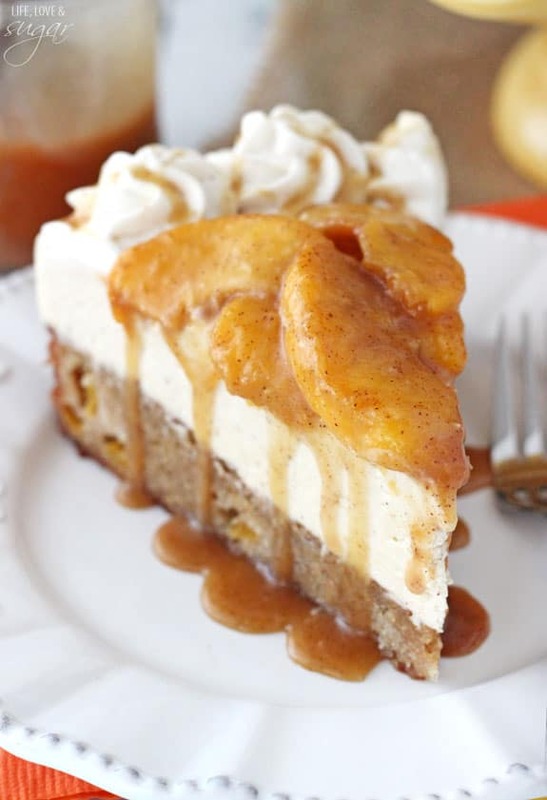 I loved all the layers – the blonde had a great flavor, the caramel cheesecake was amazing and the apples were a great topping (I used about 4). Thanks for the great recipe! I made this with gluten free flour and it turned out great. I did use a spring form pan, and the ratio of blonde to cheesecake was perfect. Feel free to substitute it with homemade whipped cream. It works as a great substitute in this recipe. I made this yesterday for an Octoberfest dinner. It was absolutely wonderful. Everyone loved it. 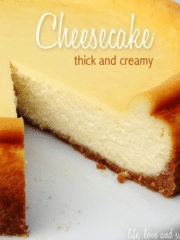 This recipe does take a bit more time than other cheesecakes that I’ve made, but it’s worth it. I started mine on Friday night, made the blondie and the cheesecake. Then in the morning, made the apples and topped off the cake. 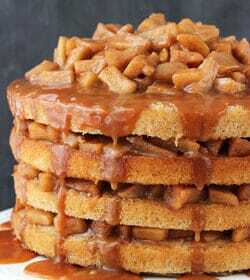 The next time, I’ll prepare the apples ahead of time but wait until ready to serve to put them on the cake. I think having them a little warm would be better. I’ll also use 2 apples instead of 1 1/2. This can definitely be made ahead. I’d just probably add the apples the day of or shortly before serving. The cheesecake should be ok made a day or two ahead. would you recommend green apples for this recipe? I’m not sure if I’d care for them as much, with the more tart taste to them. this cheesecake looks insane! i just have one question! i’m planning on making it on thanksgiving but where i live there is no cool whip 🙁 could i just make whipped cream and fold it in? thank you!!!! Yes, you can. You’ll want to stabilize the whipped cream though, which I use powdered sugar to do. I suggest 2/3 cup heavy whipping cream and 5 tablespoons of powdered sugar. Wonderful! 🙂 I hope everyone enjoys it again – Happy Thanksgiving! This sounds amazing and I am in the process of making it now. Actually the blondie part is cooling while I ask this question. I have read the comments and I see you say this is fine made early and that you can warm the apples before serving. Does it matter if you warm them in the microwave or is it better warmed on the stove top? And am I trying for just room temperature or for “slightly warm”. Which is better? Also, just to be sure, is there anything special I need to do with the whipping cream? Do I just make it today and keep it in the fridge until serving time tomorrow? Thanks for your attention. Happy Thanksgiving. Help! I made this last year and it was amazing, but I did plain cheesecake instead of caramel… problem is I don’t remember what recipe i used… any suggestions?? This was INCREDIBLE. I made it for Thanksgiving and it was practically gone in 5 minutes. Plus, even though it has a lot of components, it was pretty simple to make and came out beautifully (although I used homemade whipped cream instead of cool whip and I must say that the cinnamon whipped cream and caramel sauce were both to die for). 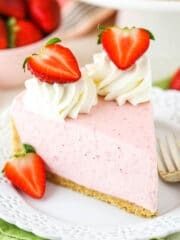 This is one of my new favorite recipes and I look forward to trying some of your other cheesecakes! Do you leave the skin on the apples or remove it? Either is fine. I believe I removed it. Made it yesterday (haven’t had any yet as it is for tomorrow) and followed all the steps. Baked the blondie and let it cool completely (without pan) then put it back in it’s pan to add the cheesecake on top. However, from the moment it has been sitting in the fridge with the cheesecake on top (and later the apples and whipped cream) it has been oozing a siruppy substance from the bottom (through where the sides and bottom of the pan meet it just comes pouring out). Where is al this liquid coming from?! Hmm, that its strange. 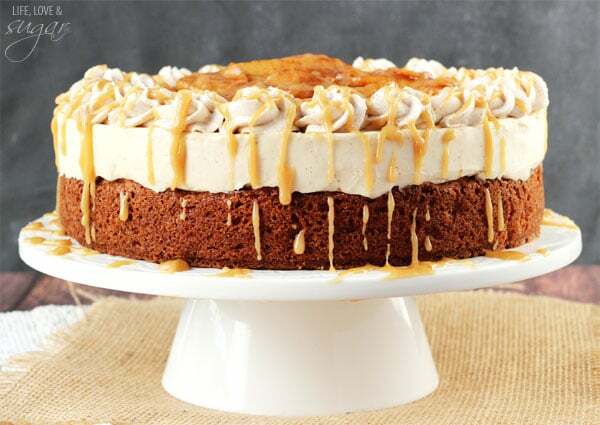 It sounds like it’s from the cheesecake layer, but the only things that thin it at all are the caramel and the whipped cream. Did you use Cool Whip, or homemade whipped cream? Hi! I have a quick question… when placing the parchment paper, is it supposed to come up the sides of the pan or do you cut the parchment paper to the size of the springform? I just put the parchment in the bottom of the pan, so I cut a circle that’s the correct size. Hi, I am making this on Friday for our card group on Saturday. (it looks to die for) It will need to be transported and I understand from reading posts that it is best if the apples are warmed and added just before serving. My questions are – when placing the blondie/cheesecake in refrigerator overnight, should I cover it?. Also can I make the whipped cream the day before as well, store in refrigerator overnight for assembly the next day or should I make that just prior to serving? Thank you for this recipe I am excited to make it for our friends! It’s probably best to cover it so it doesn’t dry out. One night in the fridge shouldn’t hurt it much though. The whipped cream should be fine refrigerated overnight. I hope you enjoy it! OMG. This was delicious and a HUGE hit with our card group. Even the tough ones that “don’t really like” dessert-loved it! Thank you so much for providing the recipe. The recipe was clear and easy to come together. I prepared it all in advance, warmed the apples slightly just before serving and placed them on top. I also made the whipped cream just before serving as well. But so simple!. It will be one I will make again and again! How does the cheesecake thicken without any gelatine! Hi dear Lindsay.thanks so much for best learning and best recipies. 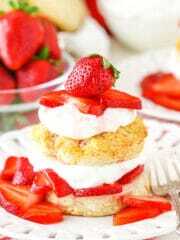 I made this recipie.It is so delicate.but I have a question.my apple cake is alittle hard and sweet.plz guid me. The blondie on the bottom is not meant to be a cake, but more of a brownie texture. So it’d be firmer and more chewy. Looks so yummy and mouth watery! I have made many types of dessert but this one is the first time will be making. Will be making it for my lovely kids. I made this for Thanksgiving last year and I have been thinking about it ALL YEAR LONG. It is sooooo delicious. And I am so looking forward to making this next week! My only question is if there are any tips out there to making it look so pretty? I remember last year pouring my caramel on too early and melting some of the frosting so it looked kind of wonky. Didn’t affect the flavor at all though ???? 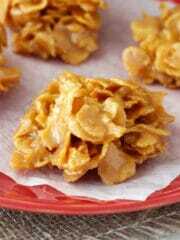 Currently making this recipe. Looks devine! Can’t wait to take it to our Friendsgiving!